Belly Squad are a young trio for the UK. They describe their music as “… that proper sick sound of dancehall, rap, and afrobeats”. The band is blurring the borders between genres and creating their own unique sound. They formed in high school in 2014 and gained a following through their covers of Stormzy and Travis Scott amongst others. Their breakthrough came about with the release of their original track “Banana” . The mellow remix, with verses from underground MCs Abra Cadabra, Young T & Bugsey, and the late rapper Showkey, has already gained double the YouTube views of the original track. With the release of their first EP ‘Banana’ they present a new dimension to afropop. 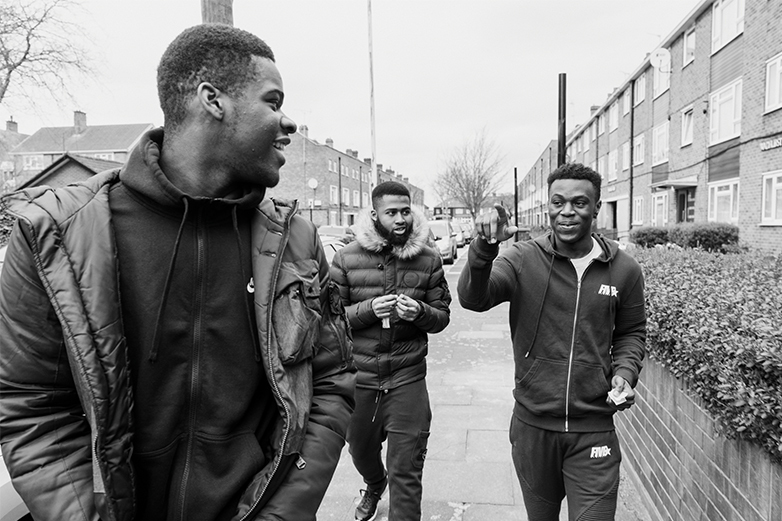 Belly Squad are fusing dancehall and Afrobeats with grime and road rap like no other band. Their inspiration? Arguably the likes of J Hus, Tion Wayne, MoStack and Yxng Bane to list a few. The band states that their sound is “ just waves. It’s vibrant and it makes people move. We vibe and do what we like, there’s no formula to it”. We work as a project execution team with the overall responsibility for the success initiation, planning, design, execution, monitoring, controlling and closure of a music project.